BD Lincoln supply Garage Doors & Spares, Garage Door remotes, Garage Door Locks, Support Cables and Cones, Replacement Handles, Counterbalance Springs, Remote Control Systems, Roller Spindles. Our dedicated team are always on hand to answer any questions you may have. 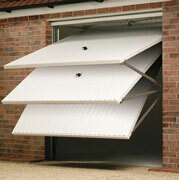 We have been installing and repairing garage doors and gates for many years. We carry garage door spares for all the major garage door makes and models, which will enable you to repair any damage to your door and keep it in good working order at all times. We can supply the garage door spare parts that you need to repair your garage door or gates, including all of the protective gear needed. You can order all of the materials required to service your equipment at the right price – including garage door hinges, garage door locks and other essentials. We offer a 12 month guarantee on all our spares complete with a no quibble returns policy (terms and conditions apply).